"No amount of money from this action can possibly make up for the loss of someone's child, someone's partner, or someone's friend," Minister of Mental Health and Addictions Judy Darcy said at the announcement on the steps of the Vancouver Law Courts. In a statement issued several hours later, the B.C. Liberals accused the government of missing the mark with its action. Darcy agreed that the majority of overdoses in B.C. 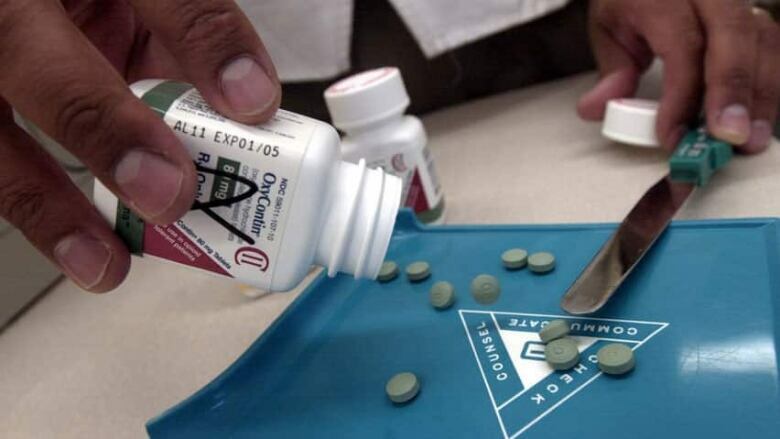 are being caused by illicitly manufactured opioids poisoned with fentanyl but its unclear how many of the people using those drugs initially became addicted through prescription drugs. She said research on that front is ongoing. Matthew Herder, director of the Health Law Institute at Dalhousie University in Halifax, was consulted on the case and said the B.C. lawsuit is an important step. A lawyer for the province declined to comment for this story. Purdue's Canadian arm has stopped marketing opioids to doctors — direct-to-consumer drug marketing is generally prohibited in Canada — but Herder thinks that might be too little too late. Purdue Pharma did not immediately reply to a request for an interview.